This eyeshadow was made for me! Gold and pink together spells out Nina lol. I have all different kinds of eye shadows but nothing like this one. My eyelids look as if I used two different eye shadows but nope it’s all one and I don’t know how they did this but it catches both the gold and pink perfectly. 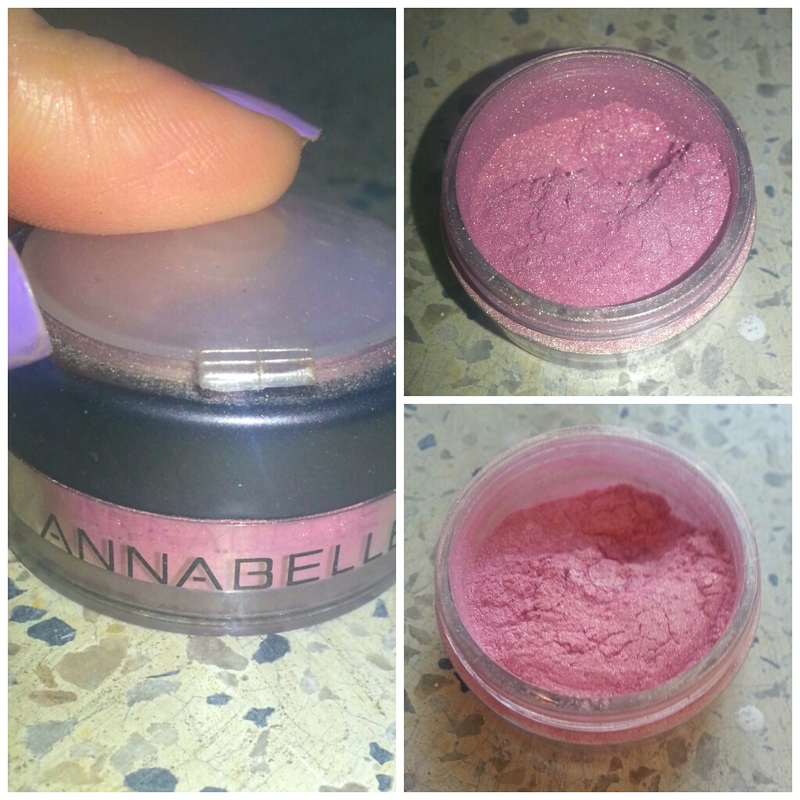 This is an eye dust or loose powder eyeshadow. It is not very pigmented and relatively sheer and not very buildable but I don’t think it’s meant to be. 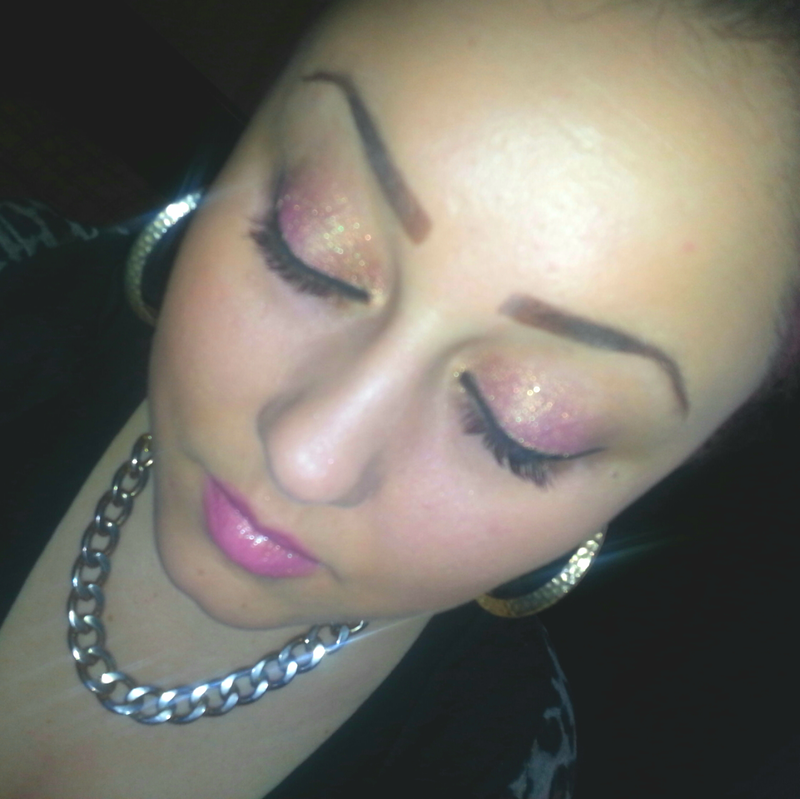 It’s a gentle combination of gold and pink and you only need that one swipe across your eyelids to make it pop! It is a perfect daytime summer look. I love love love that it captures both tones because normally with any cosmetic whether it’s a nail polish , lip gloss or eyeshadow when they try to combine two tones, you only really end up seeing one more. 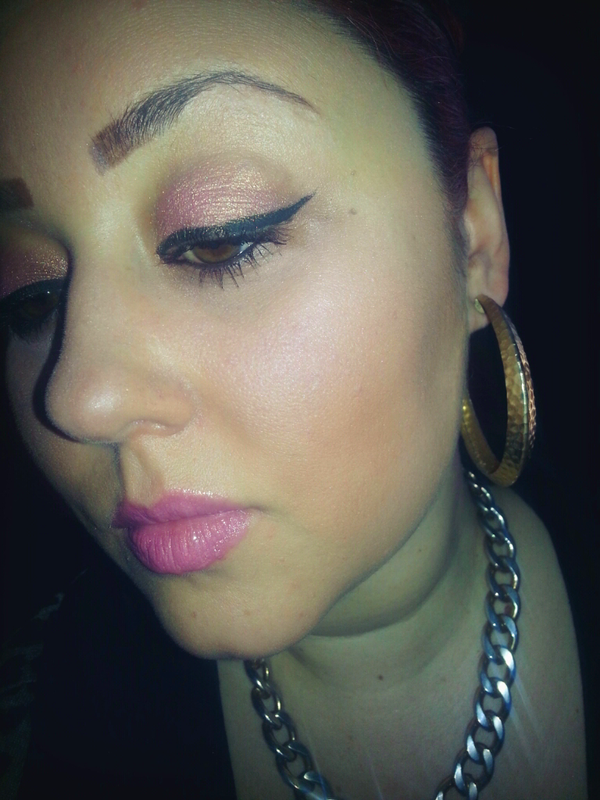 I combined this with just some thick liquid liner and the Revlon Cotton Candy lip butter. It looks so bright in the container – but it’s not at all on the eyes! I like it! 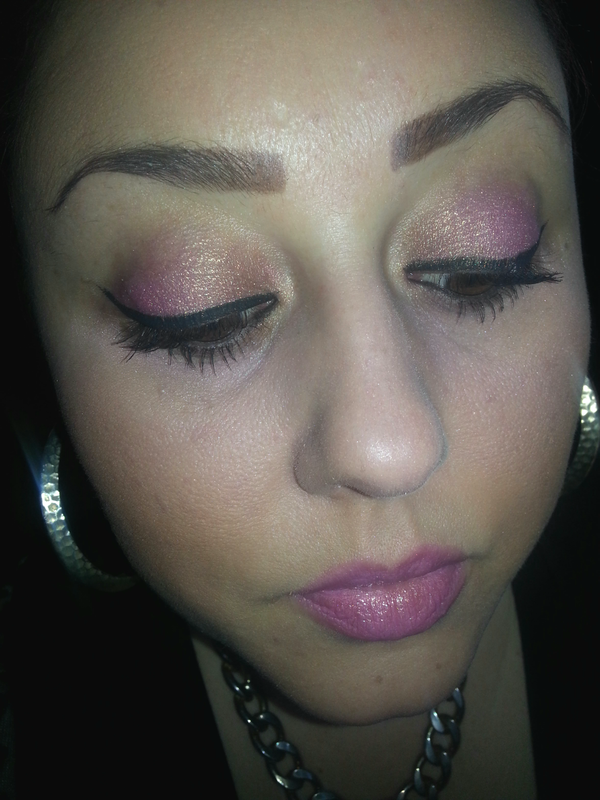 Try Avons eyeshadow !! They are having a sale on the website right now . The cream eyeshadow is GREAT! Seriously ! Here’s a link to avon so you can shop around ! Thank you 🙂 and you’re absolutely right loose eye shadows tend to scatter all over my face when I apply it but this one wasn’t too bad!